Cooked chicken last night and still have some left overs? 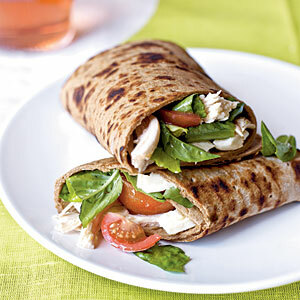 Turn your chicken into a hearty healthy lunch with our tasty wraps for a quick and easy meal. 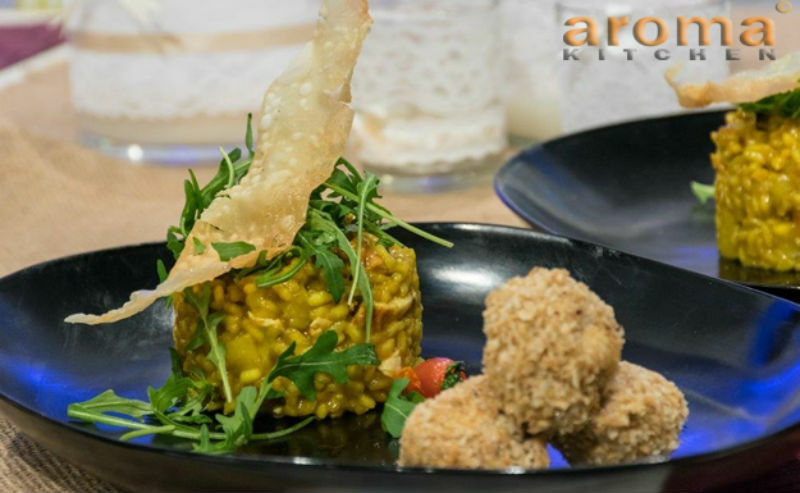 This coconut curry risotto is a simple, creamy dish, with a tropical flare.... try it out and impress your guests! 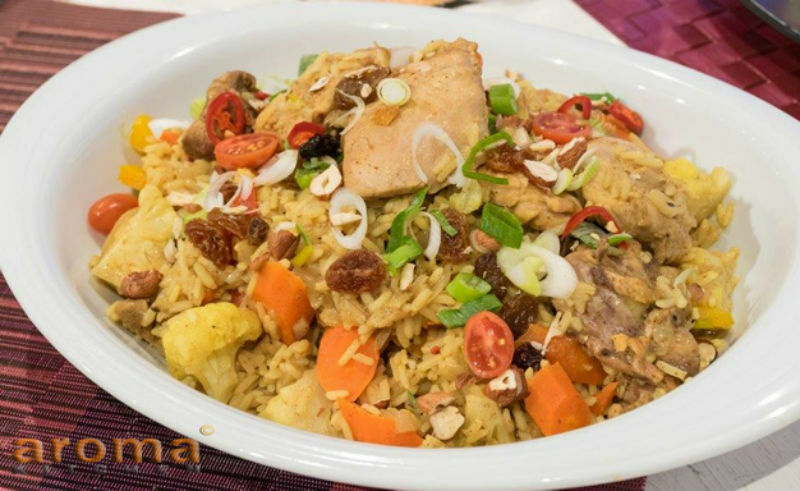 A tasty delicious one pot curried chicken rice pilaf, apart the goodness in this meal it also keeps the washing-up down to an absolute one-pot. You can even eat it out of the cooking dish! Mangos make a marvellous sauce to grace the duck breasts. 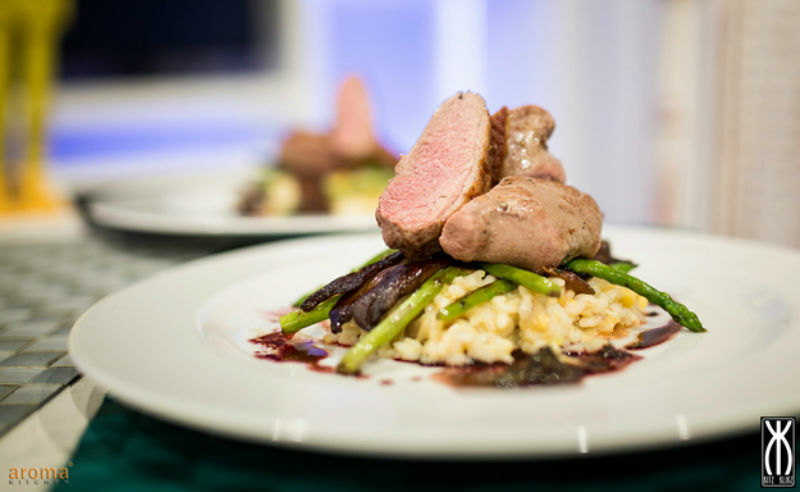 This is an elegant dish and can easily be served with risotto. 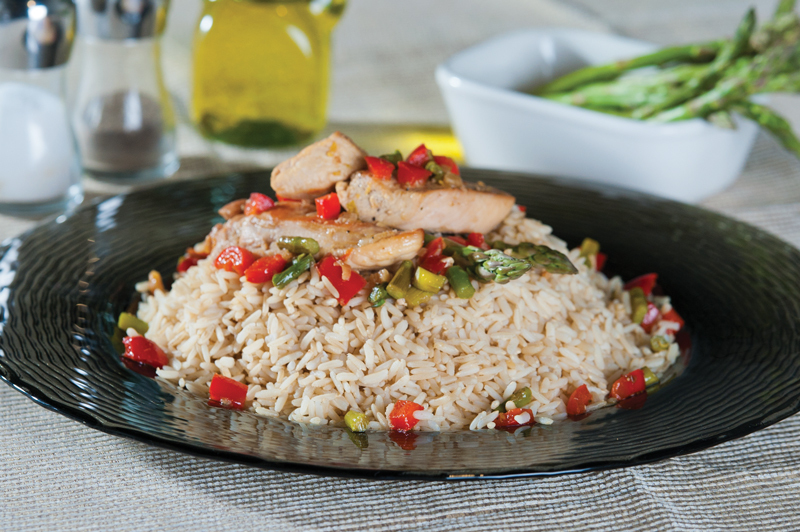 This chicken asparagus stir fry is really fast and flavorful. Chicken Masala is a delicious blend of tender chicken and Indian spices. 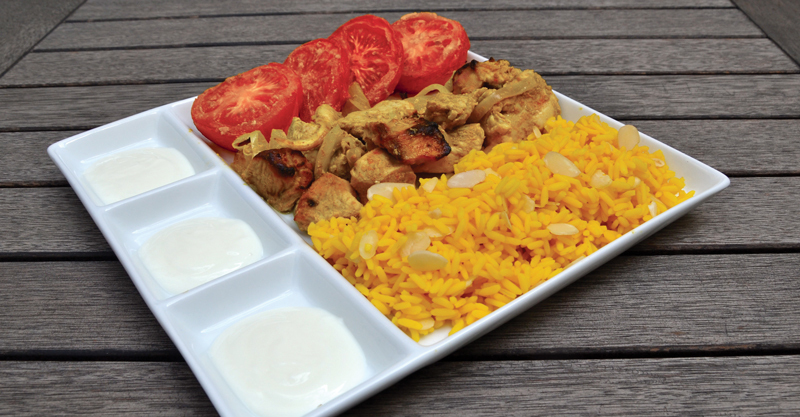 Try it out with Lamb Brand Parboiled Rice! Marinated griddled chicken thighs, lemon bulgur and a herby tomato salad! Turn these simple wraps into a satisfying snack or main meal. A very easy recipe to do! Just combine all ingredients together with bulgur and shape into patties. Perfect for entertaining a crowd. 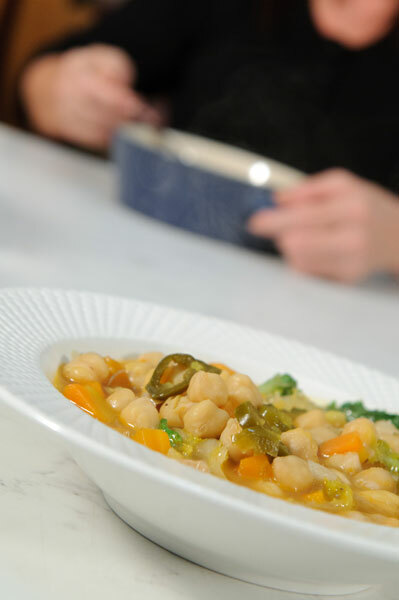 *Substitute your preferred meat with beans for a vegetarian option. 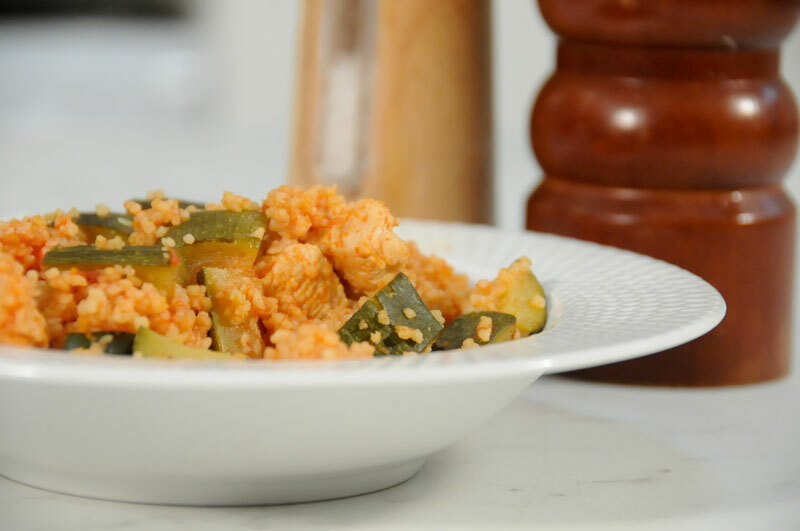 This chicken and bulgur wheat combination make this easy-to-prepare salad an extraordinary meal for dinner. 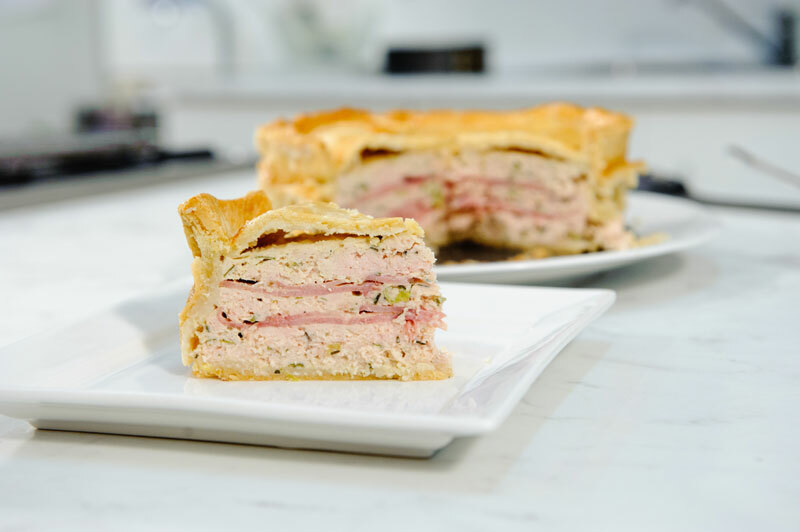 This tasty turkey, cranberry and brie tarts are the perfect weekend treat - serve either on their own or with a leafy green salad for an easy-to-make and tasty meal. This quick and easy chicken and mushroom pasta bake is an appetising filling dinner. 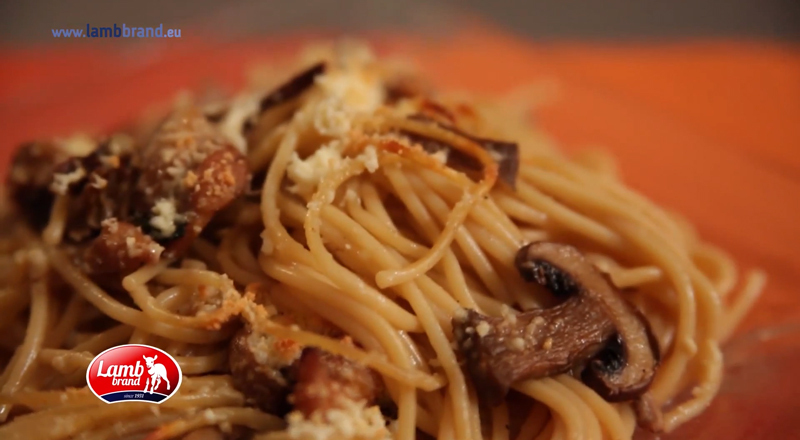 A crunchy cheesy topping with a creamy chicken mushroom underneath. 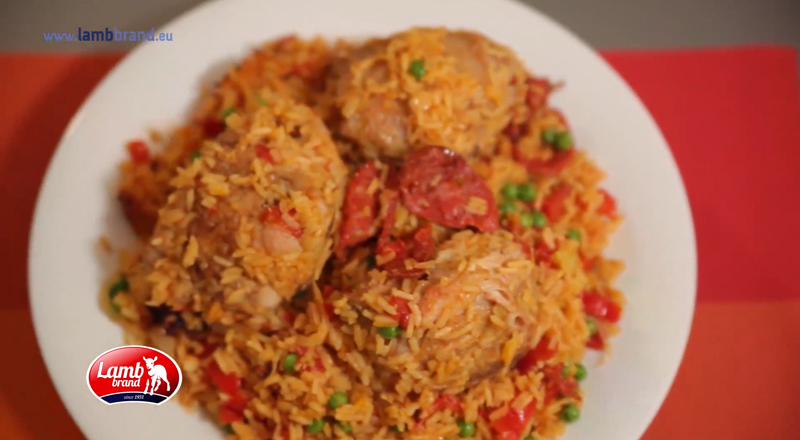 Try out this delicious combination of chicken and rice with the Spanish touch of chorizo sausage. 1.Place the chicken pieces in a zip lock bag with the flour, season with salt and pepper. Seal the bag and shake to coat the chicken pieces evenly. Shake off any excess flour. 2.Heat the olive oil in a 30cm large heavy based saucepan over a high heat. 3.Cook the chicken pieces skin side down for 2–3 minutes or until golden brown. 4.Turn the chicken and cook the other side for 1 minute. Transfer the chicken to a plate. 5.Reduce heat to medium, cook the chorizo sausage over the heat for 2-3 minutes or until crisp. Transfer the chorizo to a plate. Discard all but 1 tablespoon of oil from the pan. 6.Cook the onion, garlic and capsicum in the reserved oil for 3 minutes or until it softens. 7.Add the bay leaves, paprika and saffron stir over the heat. 8.Add the tomatoes and chicken stock, cover and bring to the boil. 9.Add the rice, simmer uncovered for 8 minutes. 10.Add the chicken and chorizo and season to taste. 11.Cover and simmer for 10 minutes. 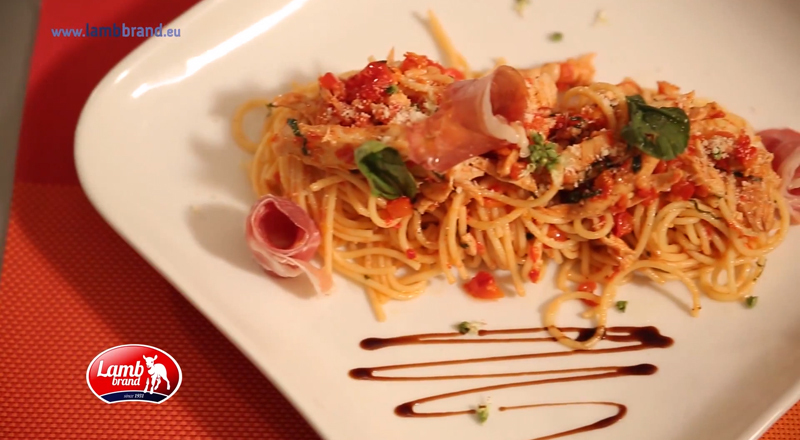 Try out this quick and easy garlic chicken pasta dish. The prosciutto will add a wonderful flavour that all the family will like. 1.Heat oil in a large skillet and sauté garlic until soft and light brown. 2.Add tomatoes, prosciutto, chicken and butter; sauté for about 5 to 10 minutes. 3.Add basil, and sauté for another 5 minutes. 4.In a stockpot, bring water to boil and cook spaghetti until firm, al dente. 5.Drain pasta and transfer to a bowl, add the chicken/tomato mixture, chilies, roasted peppers, and grated cheese; toss gently to combine. 6.Sprinkle with basil and serve. 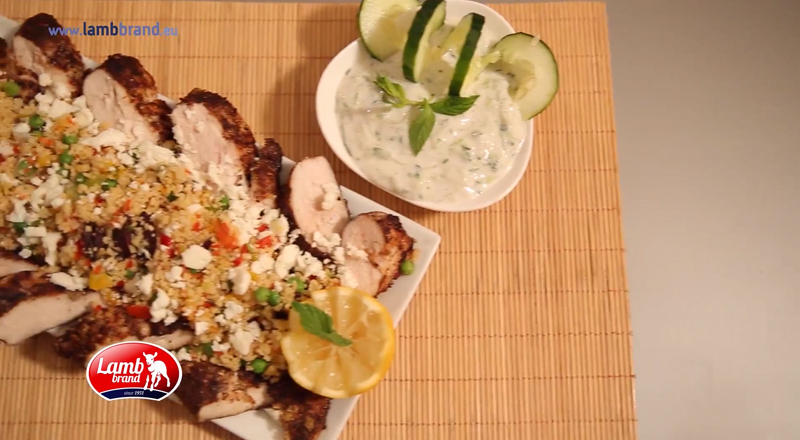 This healthy tasty Greek style meal will definitely keeps you cool and refreshing. Extra virgin olive oil, 2 tbsp. Dried oregano, 1 heaped tsp. 2.On a large sheet of greaseproof paper, toss the chicken with salt, pepper, oregano, allspice and finely grated lemon zest. 4.Put into the frying pan with 2 tablespoons of olive oil, turning after 3 or 4 minutes, until golden and cooked through. 5.For the tzatziki; coarsely grate the cucumber. Sprinkle it with a good pinch of salt, then squeeze and scrunch with clean hands to get rid of the excess salty water. Pop in a bowl with the yoghurt, juice of ½ a lemon and a pinch of pepper, finely chop and add the top leafy half of the mint, then mix together. 11.Crumble over the feta and serve with the tzatziki. 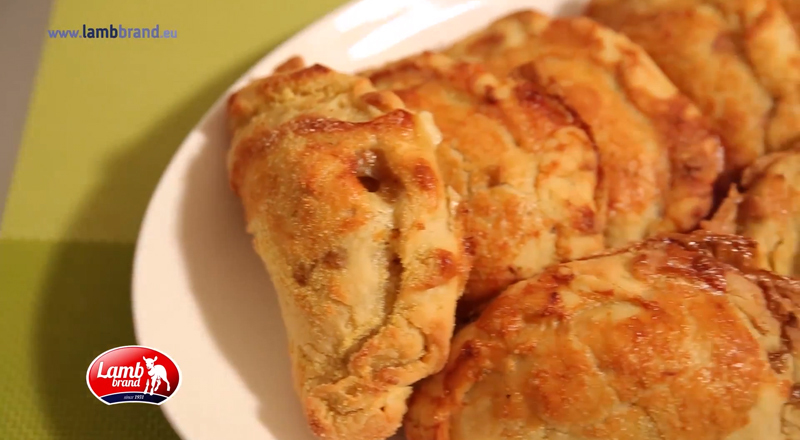 These tasty Cornish cowboy pies filled with chicken and veggies are super simple to prepare. Lamb Brand Salt, 1 tbsp. 1.Preheat the oven to 180°C. 2.Bring your butter and water to the boil in a large pan, then take the pan off the heat. 3.Stir the flour and salt into the mixture bit by bit with a spatula, until you've got a dough. 4.Tip it on to a floured surface and use your hands to shape it into a smooth ball. 5.Put the ball of dough into a floured bowl, dust the top with flour, then cover with cling film and chill in the fridge for about 30 minutes while you make the filling. 6.Meanwhile, get a large pan and fry your chopped onion in a lug of olive oil for 10 minutes or until softened. 7.Add the diced chicken and fry for 5 minutes until brown, then add the rest of the chopped vegetables and herbs. Fry for another 5 minutes, then add 3 or 4 good gratings of nutmeg. 8.Season well with salt and pepper, then pour in the chicken stock and Worcestershire sauce. Stir in the flour and simmer on a medium heat for 15 to 20 minutes, until most of the stock has cooked away and you're left with nice thick gravy. 9.Dust a clean surface and a rolling pin with flour, then divide your pastry dough in half and roll each half out until it's slightly thinner than 0.5cm. Use a cereal bowl to cut 4 circles out of each half, so you end up with 8 circles. 10.You may need to cut out 2 or 3 circles from each half first, then re-roll the remaining pastry to make the rest. 11.Dust the circles with flour, and spoon your filling into the middle of each one. Brush the edges of the pastry with some of the beaten egg, then fold each circle in half over the filling and crimp the edges with your finger and thumb to seal them. 12.Line 2 baking trays with greaseproof paper, scatter a handful of cornmeal or polenta over the paper, and place your pasties on top. 13.Brush the pasties all over with more of the beaten egg and sprinkle over a little more cornmeal. Bake in the hot oven for 30 to 35 minutes, or until golden, and serve straight away with a fresh green salad. This is a wonderful salad. 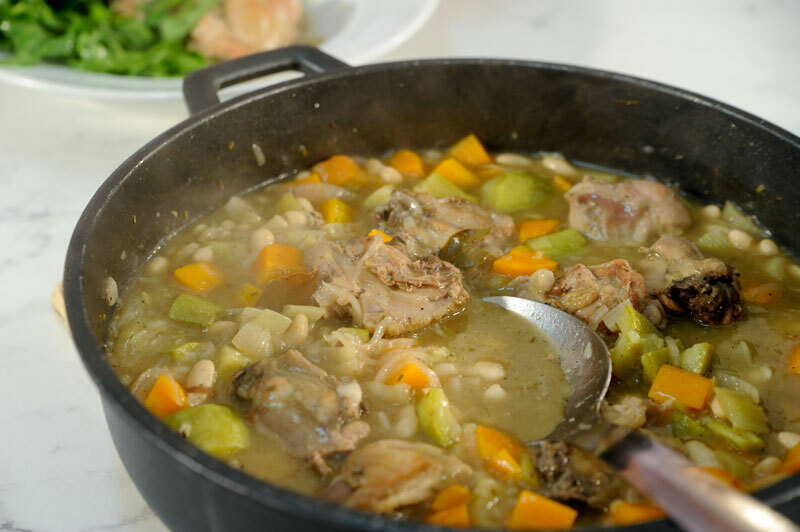 Fresh herbs keep the salad light while the chicken and veggies make it hearty enough to serve as a main meal. Use as a side dish by omitting the chicken and adding chopped artichoke hearts. 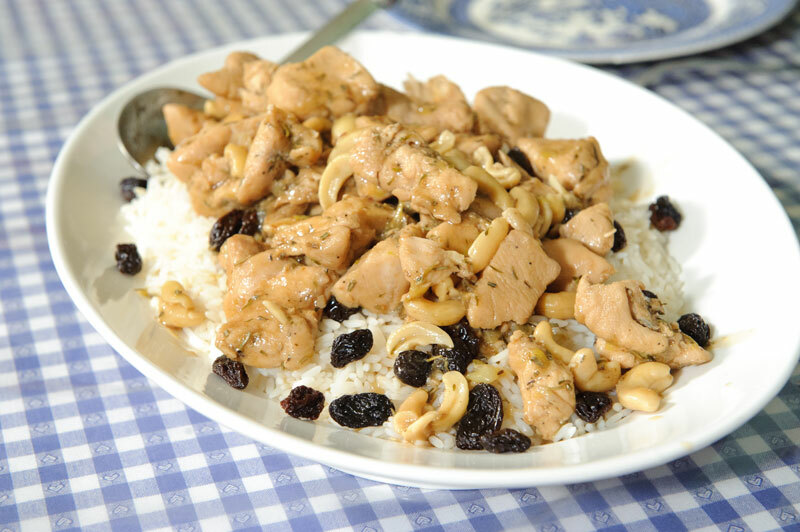 Chicken breasts graced with a flavored marinade of soy sauce, sesame oil, garlic, raisins, herbs and spices served on a bed of rice. 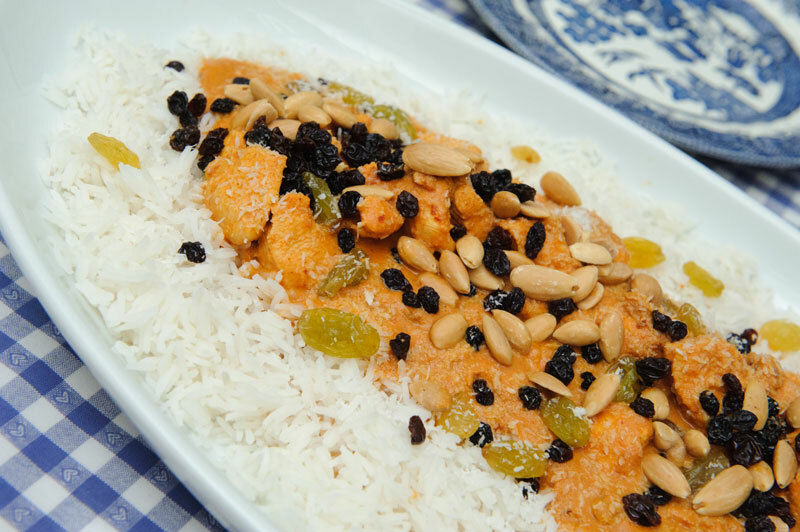 A classic, traditional flavored chicken dish with a kick!! This is an easy recipe for the famous Chicken Tikka Masala which mainly consists of roasted chicken chunks marinated in yogurt and served in a spicy sauce. 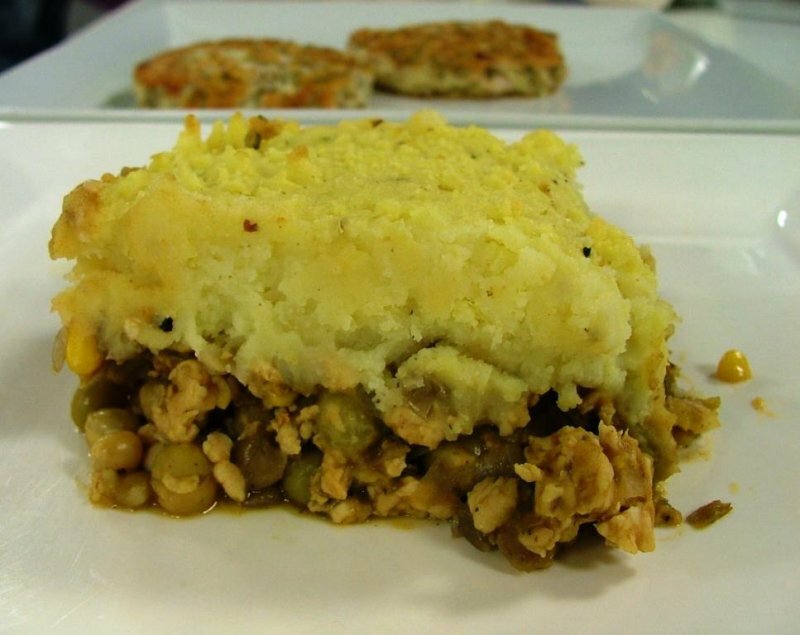 If you’re looking for an unusual meal to impress your guests this recipe is surely ideal. Pasta is always one of the favourite meals and this recipe is a good alternative for a sauce with a difference. 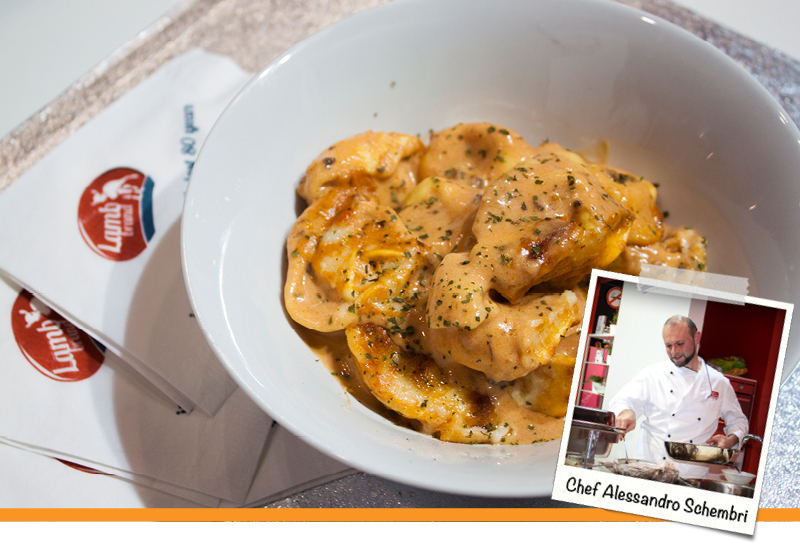 Made from natural ingredients and with a delicious taste this sauce is ideal both as a starter and as a main course. 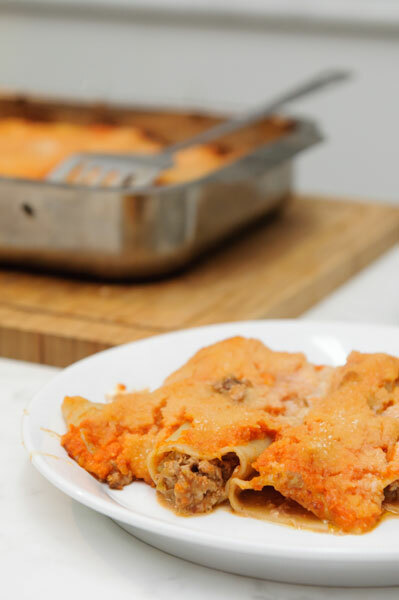 This simple dish is quick and easy to do. 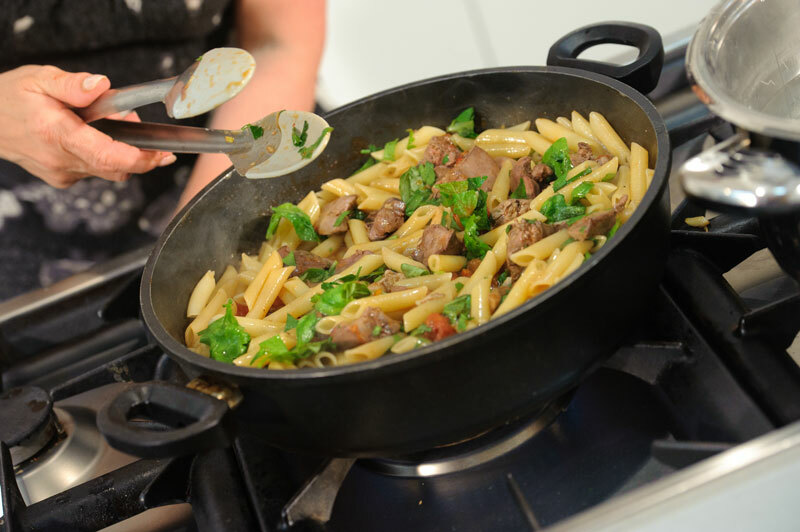 Packed with vitamins and minerals the chicken liver provides you with a pasta dish that is full of flavour without wasting you too much time. 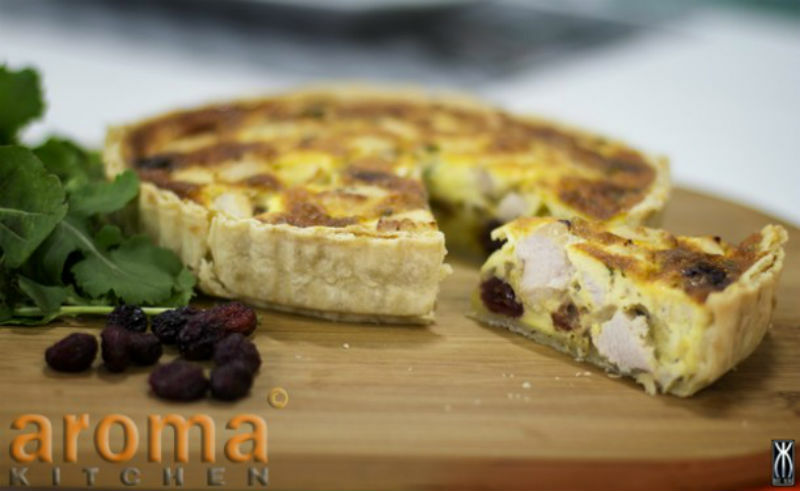 This recipe brings you the warmth of homemade pie with a not so traditional method. This layered pie will provide you with a taste like no other. 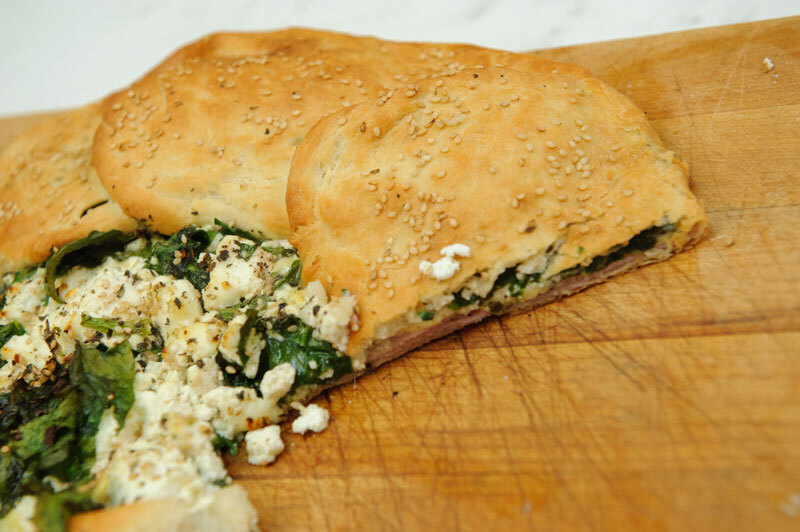 If you’re a fan of mixing the traditional with a more modern twist then you will love this pizza rustica. Ideal as a main meal or an appetiser, this recipe makes for a fun movie night treat for all the family. Trying to avoid having too many calories? 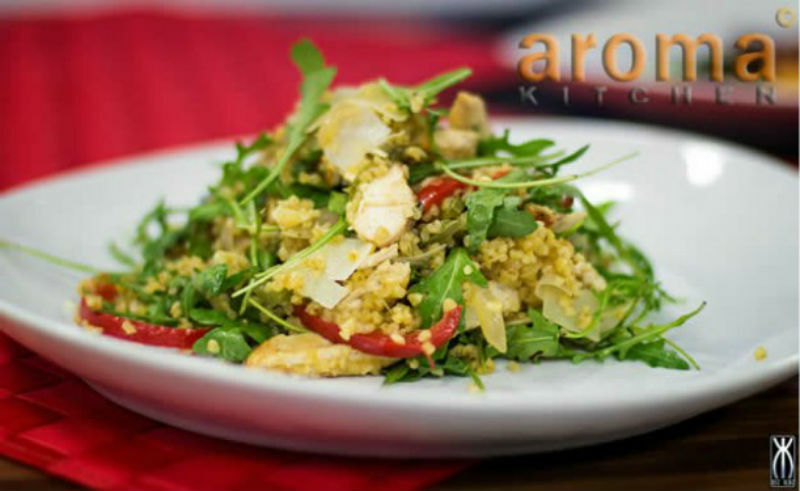 This recipe brings you a hearty but healthy meal that is ideal as a light lunch or a starter. 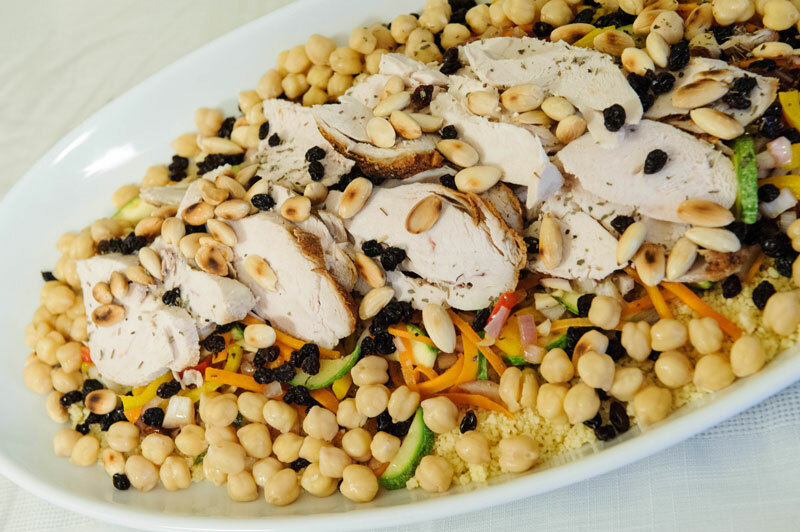 This makes one beautiful meal as a starter or as a main course accompanied with a Red Lentil Soup and a fresh leafy green salad topped with home-made mustard vinaigrette and some crushed walnuts. These home made chicken fingers and dip, are the main event of any party or get together you organize, they are sure to be a big hit. Easy and fun to make, they are also ideal for kids’ after school snack as a healthier alternative to the normal chicken nuggets. 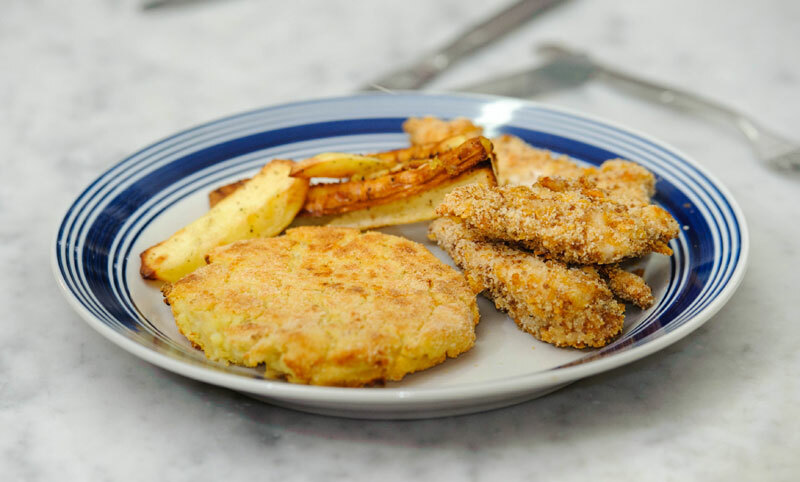 You can cook whole batches of chicken fingers and freeze them for later use.